The research for this restaurant took us to a lot of boat docks, dive bars and restaurants in south Florida and the Keys. It was a very hard and stressful journey getting lost in paradise, wading through bikinis, tropical drinks, flamingos and Jimmy Buffett music. I would not recommend it to anyone. Enjoy our version of the sights and tastes of Florida and let us serve you what we thought were some of the best classic seafood items, southern dishes and great drinks of southern Florida. We bring just the classics from the Keys and south Florida and prepare them just right. 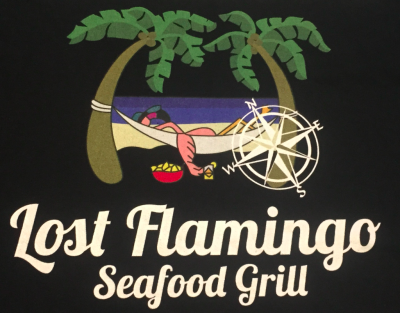 We try to get our fresh fish specials on Friday and Saturday nights straight from Florida and grill or steam them to perfection. Most items are made to order and prepared fresh that same day. We make our sauces, chowders, marinara and desserts daily. It takes a little longer to prepare and cook our food, but it is well worth the wait. We are a kid friendly restaurant because we have a bunch ourselves. We also like to support our local protectors. All retired and active police and fire department personnel and active and retired military get a 10% discount on their entrees. We value your service and sacrifice. Please stop in, sit back, relax and be ready to eat till you can't take another bite. We value your business greatly.